The tired-looking sign in the parking lot warns of "BEEF N ODLE S" inside, but the crowded tables inside make it clear that the diners value food over exterior decor in this popular Scarborough restaurant. Pho is comfort in a bowl: a flavourful broth, rice noodles, and boiled beef, garnished with herbs and spices. 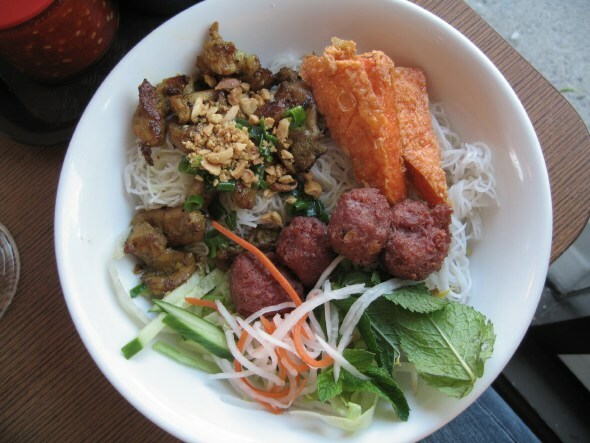 For those wondering, the word is pronounced "fuh" (rhymes with "duh") and as Frank Kocis pointed out in his Pho Linh review , there are probably more pho joints in the city than there are opinions about them. 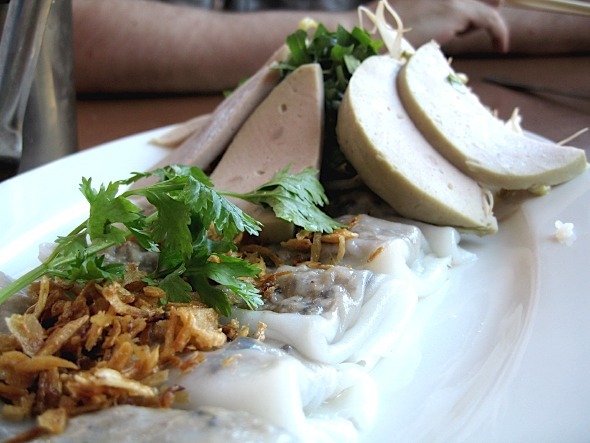 The origin of pho is hotly debated among pho fanatics. Some theorize that although the Vietnamese valued cows more as beasts of burden rather than their meat, the French occupation of Hanoi in the mid-1880s had an influence on local cuisine. 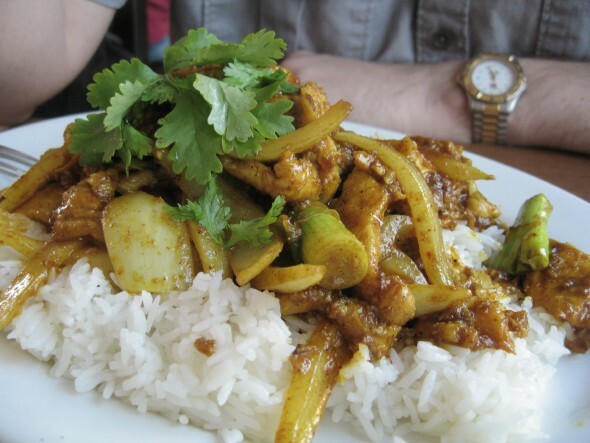 Others insist that the French had nothing to do with it, but that the Chinese alone invented the dish. Whatever the history, there's no denying the appeal of a savoury bowl of pho. I order the most basic pho selection on the menu: P1 House Special Beef with Noodle (see photo at top), $6.25 for a "small" bowl (quotes because of the generous serving). The broth is flavourful and beef tender, served with bean sprouts garnished with Thai basil. I haven't had much experience with pho (or eating connective tissue in general), so don't recognize tripe. ME: "Ooo, this is an interesting kind of noodle!" MY FRIEND: "Um, that's not a noodle." MF: "I'll tell you after you try some." I take a tentative bite. A bit rubbery and bland, but I suspect it's an acquired taste. I also try a piece of gristly tendon, reminding myself that tripe and tendon are important elements in good pho. We order the spring rolls appetizer (A6, $4.50 for small), and they're amazing: crisp (not tough or overly chewy) on the outside, savoury inside, with a tasty dipping sauce. 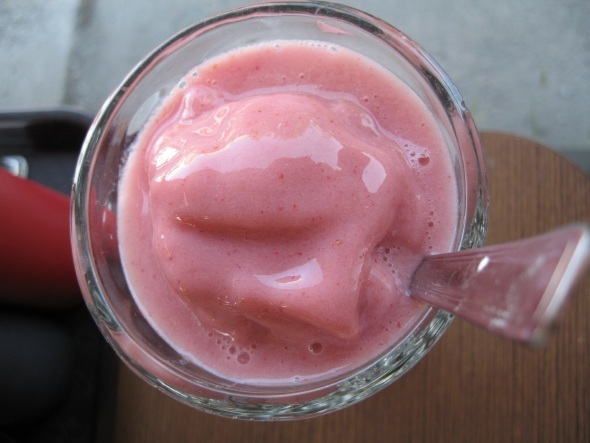 The strawberry shake ($3.99) is refreshing, sweet and light. 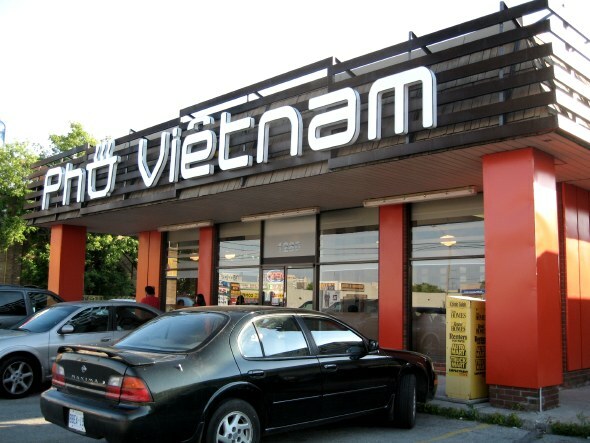 I'd come back in a heartbeat for just the shake and spring rolls. He lets me sample, and I decide I'm going to order this next time I visit. 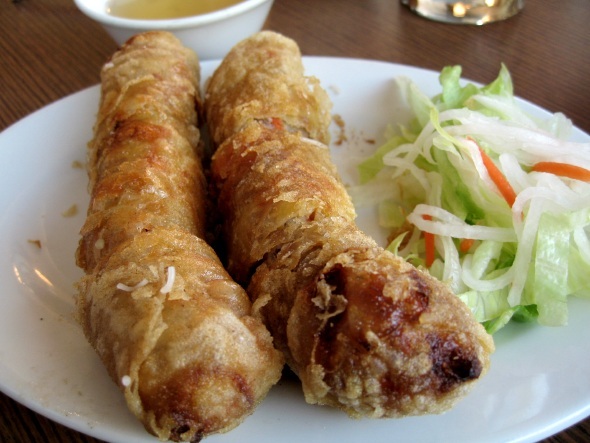 The ground pork rolls are good, but the slices of Vietnamese sausage look and taste like bologna to me. A tip for those looking for a place for quiet conversation: make sure you get a table as far from the kitchen area as possible, where noise from the blender can be distracting. If you're in the mood for more pho, do check out blogTO's reviews of Pho 66 , Pho 88 , Pho Hung , Phi Linh , Golden Turtle and Pho Phuong .